The Sky Climber is a good sized electric glider that is equally suitable for beginners or experienced pilots alike. at 2M span, she has quite a presence in the air and can be easily seen from a fair distance. 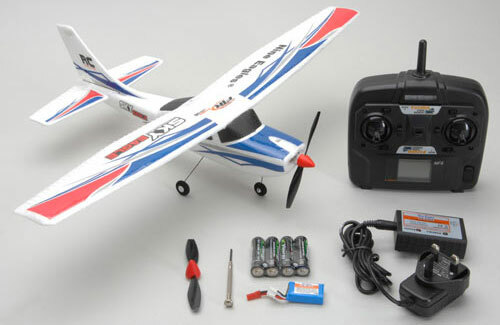 The powerful brushless motor and ESC are pre-installed as are the 4 servos. All you have to do is intsall your receiver and battery and you are ready to go flying. 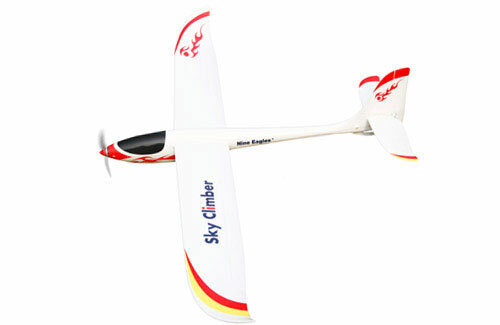 Made from tough EPO foam, the Sky Climber can be docile as a trainer and aerobatic when required. 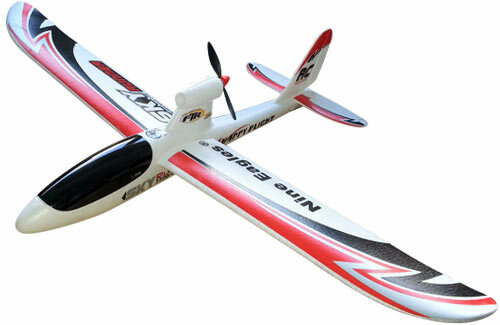 having both ailerons and rudder, the roll and turn response is immediate yet predictable. 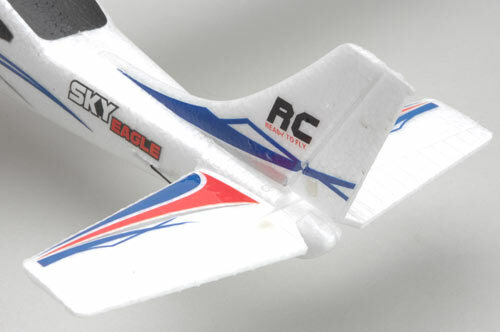 The wing section provides the right combination of high lift and good penetration into the wind. 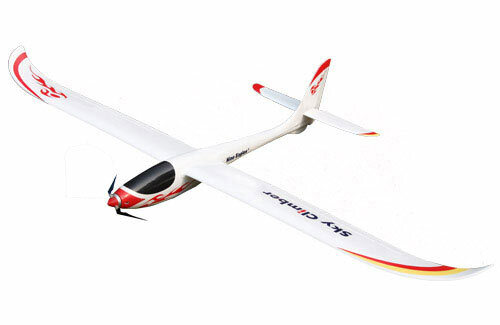 Under the right weather conditions, soaring is no trouble at all and long flights are easily possible. There is a lot of wing area and a low wing loading, so lift only has to be minimal for success. Even without lift, flights of 20 minutes plus are possible. 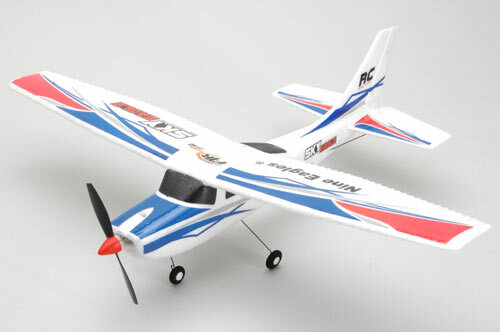 A great model for getting into gliders for the first time. 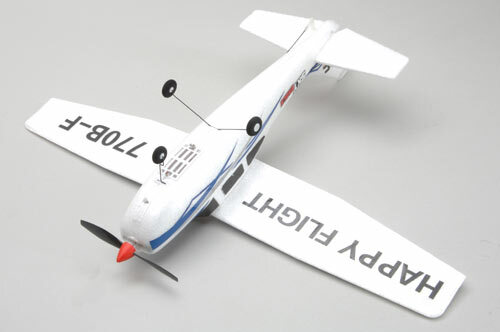 Designed for beginners as a training aircraft this bouncy EPP aircraft has been developed for the rigours of learning. You only need a compatable Futaba FHSS transmitter as everything else you need is included in the box. The charger is supplied with a euro style plug. 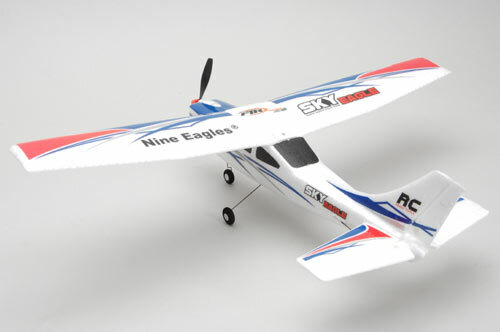 An evolution of the origional Nine Eagles Sky Eagle this version is supplied with a FTR (Futaba Transmitter Ready) receiver and transmitter using FTR code. This means you can use either the supplied tx or a Futaba FHSS tx if you want to upgrade in the future. Designed for beginners as a training aircraft this bouncy EPP aircraft has been developed for the rigours of learning. 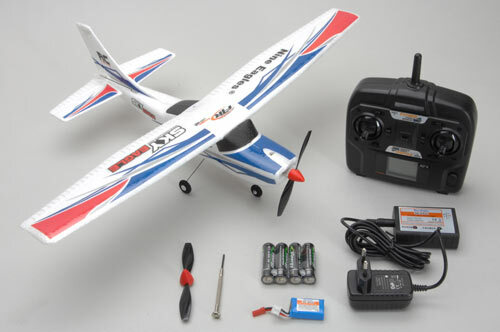 You will be ready to fly next to no time as everything else you need is included in the box! 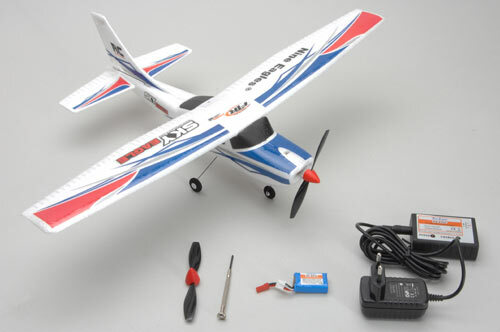 The perfect model to start out in radio control flying without breaking the bank! It has been purpose designed for the novice pilot. The Sky Runner has been designed to be stable and forgiving in flight, yet still has performance to put a smile on your face. The moulded EPO design (crash resistant foam) can accept an amazing level of abuse and still come back for more. By having the motor at the back, it is not easily damaged in a crash and is far safer should you strike something. 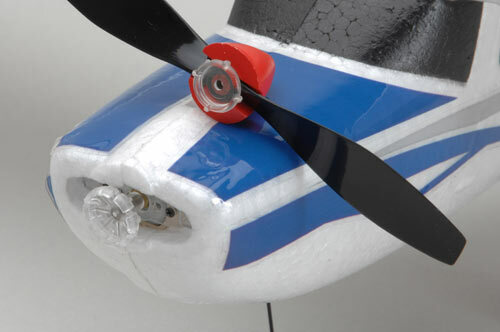 The Patented Nine Eagles propeller system is also designed to 'pop' off should it strike anything. Not only is this an additional safety feature, it prevents damage to the model. Assembly takes just a few minutes and is an extremely simple procedure.